For this project, you will be conducting research, and as a class, making a magazine that reviews the most significant advancements, people, and events of the decade. · Identify scandals that plagued the Harding administration. · Summarize the impact of the automobile and other consumer goods on American life. · Describe the controversy over the role of science and religion in American education and society in the 1920’s. 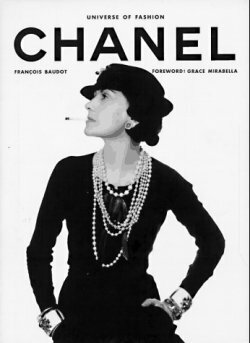 · Explain how the image of the flapper embodied the changing values and attitudes of young women in the 1920’s. · Identify the causes and results of the changing roles of women in the 1920’s. · Describe the popular culture of the 1920’s from the perspectives of politics, literature, entertainment, technology, and innovations. · Describe the prolific African-American artistic activity that became known as the Harlem Renaissance. So, fire up those typewriters, and stop the presses! out interviews with participants and remain completely unbiased. Report only the facts! You will now conduct research for your article. On your group tab, you will find links to helpful websites. The interviews have been conducted, and the research has been gathered. Now it is time to write your first draft. · 12 Point Georgia font. Next you will write a revised rough draft. You should meet again with your editor to read over it. miss the deadline, you will not be published! NOTE: Your article should include at least one relevant photograph that will catch your readers’ attention. copy of this special issue that you and all of the other journalists have written. SS.USH.4- The Modern United States in Prosperity and Depression: 1920s and 1930s Students will examine the political, economic, social and cultural development of the United States during the period from 1920 to 1939. SS.USH.4.1- Give examples of support shifting to big business during the postwar period between World War I and the Great Depression. SS.USH.4.2- Describe the development of popular culture. SS.USH.4.3- Explain how America reacted to a changing society by examining issues associated with the Red Scare, Prohibition, the Scopes Trial, the changing role of women and African-Americans, the Ku Klux Klan, the Palmer Raids, the National Origins Act, and restrictions on immigration. SS.USH.4.4- Describe the stock market crash of 1929 and the impact it had on politics, economics and America's standard of living. SS.USH.4.5- Identify and describe the contributions of political and social reformers during the Great Depression. SS.USH.4.6- Describe New Deal legislation and its effect on government expansion and compare and contrast their views of New Deal proponents and opponents. SS.USH.4.7- Describe technological developments during the 1920s and their impact on rural and urban America. SS.USH.9.2- Locate and analyze primary sources and secondary sources related to an event or issue of the past. SS.USH.9.3- Investigate and interpret multiple causation in historical actions and analyze cause-and-effect relationships. SS.USH.9.4- Explain issues and problems of the past by analyzing the interests and viewpoints of those involved. SS.USH.9.5- Use technology in the process of conducting historical research and in the presentation of the products of historical research and current events. SS.USH.9.6- Formulate and present a position or course of action on an issue by examining the underlying factors contributing to that issue. 9-10.RH.2- Determine the central ideas or information of a primary or secondary source; provide an accurate summary of how key events or ideas develop over the course of the text. 9-10.RH.3- Analyze in detail a series of events described in a text; determine whether earlier events caused later ones or simply preceded them. 9-10.RH.5- Analyze how a text uses structure to emphasize key points or advance an explanation or analysis. 9-10.WH.1- Write arguments focused on discipline-specific content. 9-10.WH.2- Write informative/explanatory texts, including the narration of historical events. 9-10.WH.4- Produce clear and coherent writing in which the development, organization, and style are appropriate to task, purpose, and audience. 9-10.WH.5- Develop and strengthen writing as needed by planning, revising, editing, rewriting, or trying a new approach, focusing on addressing what is most significant for a specific purpose and audience. 9-10.WH.8- Gather relevant information from multiple authoritative print and digital sources, using advanced searches effectively; assess the usefulness of each source in answering the research question; integrate information into the text selectivity to maintain the flow of ideas, avoiding plagiarism and following a standard format for citation. 9-10.WH.9- Draw evidence from informational texts to support analysis, reflection, and research.